Being in London taught me to stop taking advantage of life and to get out and live more. Why waste days doing nothing when there is so much to see and explore outside of the house. I am no longer taking advantage of Long Island and New York City. 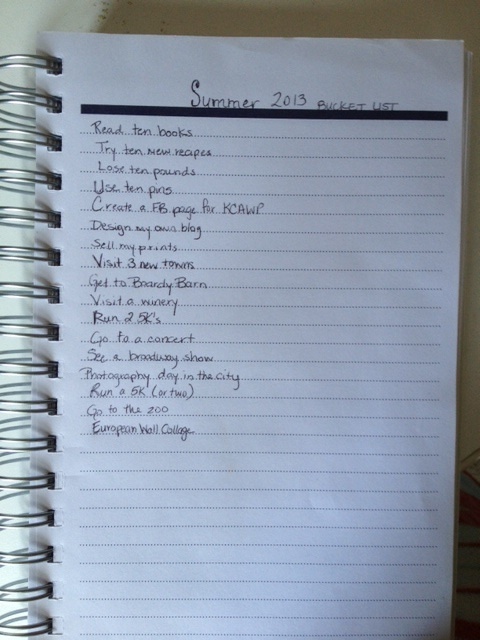 I created a summer bucket list to help my live my life to the fullest this summer! Got any more ideas for me? I think it is a great bucket list. Kind of looks like mine too. And bucket lists are great also stopping by the blog hop from the dwelling tree. First, found your blog. Love it! Second, bucket list are a great way to keep track of what you want to do. Being able to see it & work on it is such an accomplishment & you get to do great things in your life. Things you will remember and better yet, be able to blog about :) I have a huge bucket list on my blog if you are interested in more ideas. I love its great, I have a ton planned for the summer already. A few of the ones you have I do also!